Plant is being developed by Tuaspring Pte. Lte. Toray Industries Inc., headquartered in Tokyo, Japan, announced that it has won an order to supply reverse osmosis (RO) membrane elements to the Tuaspring Desalination Plant in Singapore. The plant will have a water production capacity of 318,500 cu meters per day, or 84 million gal per day, making it the largest in Asia outside of the Middle East. The plant is being developed by Tuaspring Pte. Ltd., a wholly-owned subsidiary of Hyflux Ltd. of Singapore. Tuaspring won the 25-year design, build, own and operate project, which is situated on a site next to the SingSpring Desalination Plant in Tuas, Singapore’s first large-scale desalination plant. Toray is scheduled to supply its RO membrane elements in 2012 and the Tuaspring Desalination Plant is expected to start operations in 2013. Singapore is implementing a policy called the "Four National Taps" with the aim of establishing a sustainable water supply system. 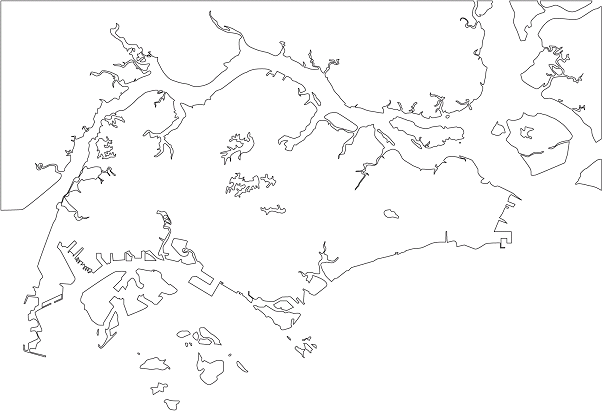 Under the policy, the Singaporean government is actively expanding the area for water catchment up to 66% of the country while promoting expanded use of "NEWater" (reclaimed from used water, which already accounts for 30% of utilization) and enhancement of water desalination facilities in order to reduce its dependency on the water import agreement with its neighbor Malaysia, which is scheduled to expire in 2061. Toray has a track record of supplying RO membrane elements to major Singaporean plants, including the SingSpring Desalination Plant in Tuas and the NEWater plant in Changi, which is the latest and biggest under the NEWater project. In Singapore, Toray’s market share of water business-related RO membrane elements has reached about 60%. The market share will climb to 70% with this order for the country’s biggest Tuas II plant. The company is determined to further contribute to Singapore’s efforts to ensure stable, high-quality water resources. The global RO membrane market has been expanding at an annual rate exceeding 10%, fueled by worsening global water shortages and the need for conservation of water resources in response to environmental considerations. In addition to existing applications, including drinking water and pure water for industrial use from seawater and brine desalination, membranes are now being used to reclaim water from urban sewage and industrial wastewater. The demand for membranes is likely to keep growing steadily, primarily in regions including North America, Europe, the Middle East, North Africa and China, while the demand in emerging countries including India and those in Latin America also is expected to expand.